We are centrally located in the San Francisco Bay Area. 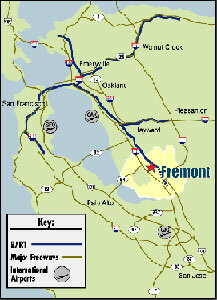 We are 20 minutes from San Jose and Oakland and only 40 minutes from San Francisco and Walnut Creek. For Driving directions please see below. Physicians, employers, case managers, attorneys and insurance adjusters please feel free to click here to download our referral form.